For Joseph Bates, USMC, Master Sergeant, Retired, life has always been about a willingness to work harder predicated on sheer tenacity. “Nothing has ever come easy to me. So, I give everything 110%,” Joe says with a wide smile. “But then, I’ve always been stubborn.” Choosing to do the difficult thing seems to come natural to Joe. Enlisting in the U.S. Marines directly out of high school was a personal challenge. “I wanted to be the best,” recalls Joe. “I also knew that I’d have to work harder to make it.” Boot camp at Parris Island, South Carolina is legendary. Pushed to the physical and mental breaking point – many recruits fail to graduate. Marine Corps training is considered by most graduates to be the challenge of a life-time. For Joe, the training readied him for a military career spanning twenty-one years, and prepared him for life’s most formidable challenges. While home on leave in Florida, Joe met Shannon. Soft spoken, blue-eyed, and blond with laser-focus, “…she’s my perfect opposite,” he says with admiration, “I’m an extrovert. I’m literally all over the place.” In Shannon, Joe found a wife and future business partner. During his military service, Joe was deployed over-seas numerous times, serving off the coast of Somalia in support of humanitarian operations, in Kuwait after Desert Storm for Desert Stay and in support of Afghanistan, and again for the launch into Iraq in support of Iraqi Freedom. “I was an ordnance guy,” explains Joe. The work was hot, dusty and dangerous. Redeployed, Joe served as the U.S. Embassy Detachment Commander in Kathmandu, Nepal. Treatment for a lump discovered on his neck while serving in Nepal would take him to Hawaii where he would face life’s most virulent challenge. “My initial diagnosis was head and neck cancer – stage three, boarder-line stage four,” Joe explains. “I underwent three month of aggressive chemotherapy and radiation.” Suffering the full force of side effects his weight plummeted from 220 lbs. to 150 lbs. After completing his last tour of duty Joe retired from the Marines in 2012. Stressed-out and weary from the military and twice battling cancer – Joe and Shannon sought a fresh start in the Appalachian Mountains of Southwest Virginia. “While in the Marines, I’d learned to make wine,” says Joe with a chuckle. 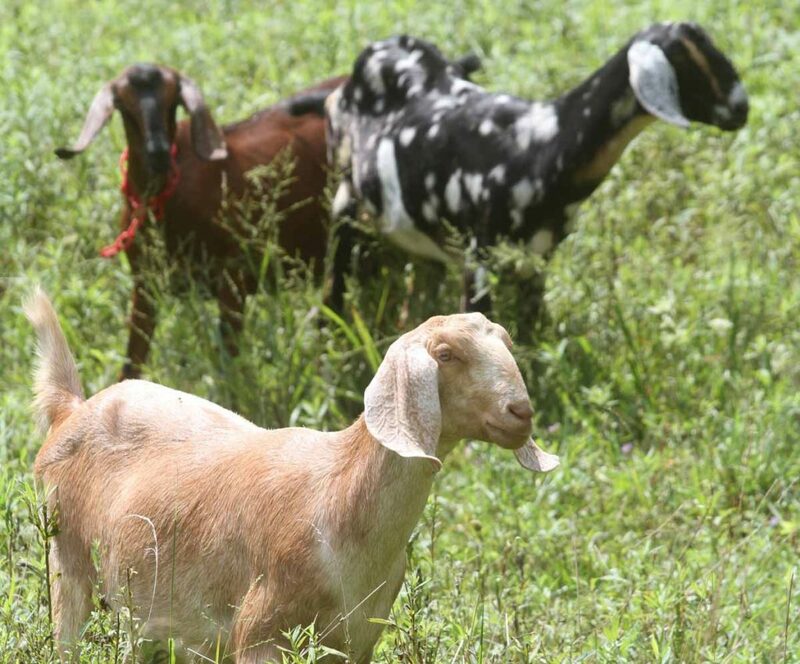 “I thought I’d get a few goats – learn to make cheese to go with the wine and live a quiet, happy life.” A new direction brought new challenges. Having overcome larger obstacles, Joe was undaunted. “I didn’t have any experience in farming or goats. But we had a plan and time to follow our dreams,” explains Joe. Utilizing Veteran’s benefits, Joe attended college while Shannon worked. One afternoon, while waiting for a cheese making class to begin Joe serendipitously watched a soap making demonstration. With an eye toward a use for the excess milk Shannon attempted soap making – with less than satisfactory results. Always a perfectionist, Shannon persisted. “She threw out more than $1000 in soap,” says Joe. “But she got it right.” According to Joe, his initial cheese making efforts were even worse. “It was absolute trash,” laughs Joe. “I remembered that I didn’t even like that kind of cheese.” Though later attempts proved successful the costs associated with building a grade B dairy were prohibitive. Those simple rules make Joe and Shannon’s business as unique as their product. The growth of the business, has allowed Joe to employ a local veteran and two part-time workers in an area with nations highest unemployment rate. “My full-time guy is a Purple Heart Vet,” says Joe. “I’m able to pay him a modest wage and an end-of-year bonus based on company profit.” To keep the product profitable for wholesale customers, Joe keeps his profit margin down. “Most our retailers are Mom and Pop businesses. I want them to make money,” he explains. “The natural healing enzymes in fresh raw goat milk and the highest quality, 100% natural olive oil and shea butter make our product different.” Handmade in small batches to ensure freshness, Joe refuses to warehouse their product, even though it has a two year shelf life. “I have two week turn-around time from manufacturing to customer,” explains Joe. Always striving to make business better, Joe heads out weekly to deliver as many wholesale orders as possible. “It gives me a chance to see what’s on our customer’s minds,” explains Joe. Today, business at the Bates Family Farm continues to expand with products placed in more than 150 stores and online sales. “We’re moonstruck over the success,” says Joe. Bates Family Farm goat’s milk Body B’udder, lotions, and soaps are available at Things A Drift and other fine boutiques.